Hyundai has recently revealed there will be 2 new models going on sale in 2015; the i20 Coupe and i30 Turbo. The new i20 model is a sleek 3 door coupé, whilst the i30 Turbo packs a punch with a sportier performance. Designed at Hyundai’s European design centre in Germany there are some fairly major differences between the coupe’s body and the original i20 five-door. The coupé will feature a lower roofline (which has been lowered by 25mm) and ends in a tailgate spoiler. It has also been given a distinctive forward-swept rear screen, aiming to give the car a smoother, more purposeful appearance. There have also been changes made at the front of the car, with the grille flipped and made deeper to make the i20 coupé look a bit moodier than the five-door. With the cars new neat design it looks a fair bit more effective than the five-door version. Not only that, the tail-end tweaks that have been made have also freed up a bit more boot space. Also joining the new 2015 range will be the Hyundai i30 Turbo. This has received a number of generous cosmetic tweaks, a new seven-speed dual-clutch automatic gearbox and new engine options, the most notable of which being an 183bhp 1.6-litre turbo. The new Turbo model also has other features such as 18-inch wheels, sports suspension, bespoke front and rear bumpers, and sports seats with fiery red stitching. The car’s design was rated the number one purchase reason for existing Hyundai customers, so Hyundai has played it safe with the exciting new i30. The new Hyundai i30 Turbo will go on sale early in 2015. Are you looking to buy a new Hyundai? 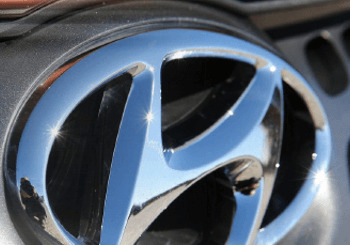 Take a look at our range of new and used Hyundai cars.